1. Blue Lug A powerhouse of a shop, located in Tokyo, Blue Lug is a huge shop stocking bikes, parts, accessories and clothing. It also has it's own in-house range of bags and bike wear. An essential visit for any cyclist in Tokyo. 2. W-Base BMX, Piste and Custom bike shop in Tokyo, cooler than a polar bear in sunglasses. W-Base make their own range of bikes and accessories that are sold in bike shops across Japan. 3. Starfuckers/ Above Bike Store Kawasaki City, Kanagawa Prefecture based custom shop. Don't be put off by the forthright shop name, Starfuckers tend towards the higher end of the bike market stocking a full range of bikes, frames and parts including their own brand of much sort after piste bikes. 4. Dig-It BMX. The name says it all really, a fine BMX shop located in Saga prefecture in the south of Japan. Dig-It is a rider owned and staffed shop covering all aspects of BMX. Their website is available in English too. 5. CPW Skate Shop. 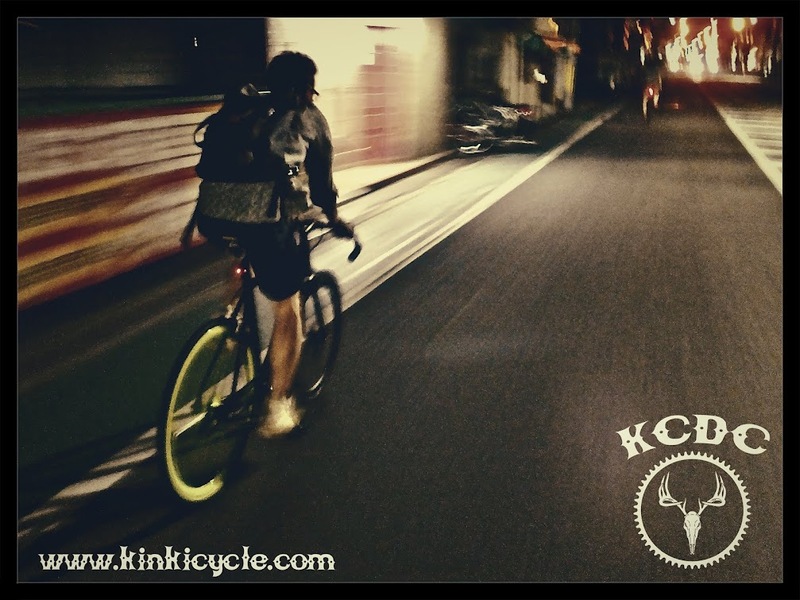 A wonderful Tokyo based custom bike and skate shop. Stocking a mind blowing, memory jogging range of old school skateboards and bikes. Their blog regularly features some of their wonderful, super cool customized bikes, including a number of "tall-bikes" that have to be seen to be believed. 6. Circles, Nice Nagoya based store, catering towards the higher end of the market with a good stock of frames, parts and accessories. 7. Cycle House Shibuya A fountain of knowledge for all things folding, based in Tokyo, CHS has everything you could possibly need for a folding bicycle and a whole lot more. 8. Screamin' Wheels. A fantastic, Tokyo based old school BMX and custom bike shop with an amazing selection of retro bikes and parts. Regularly featured in Loop Magazine. 9. Depot Cycle & Recycle Funky, fun shop with it's heart in the right place. Based in Ichikawa City, Chiba prefecture, Depot stocks a range of bikes, accessories and clothing with an emphasis on the environmentally friendly. 10. Tempra Cycle Tokyo based custom fixed/piste shop that manufacture their own range of fixed bike parts and accessories. 11. Brotures High end custom fixed/piste shop with two branches in Tokyo. 12. Diner Another Tokyo based custom fixed/piste shop. Diner also make their own range of carbon wheels. 13. Park Sider Fresh and funky high end Tokyo shop specializing in....drum roll...custom Fixed/Piste bikes! Park Sider stock a range of bikes including some interesting and little known brands, somewhat setting themselves apart from other similar shops in the city. 14. Counter Attraction Huge store, located in Kanagawa prefecture. CA stocks a full range of funky, fashionable bikes and accessories. 15. Geek Garage Tokyo based custom bike shop, building some very nice custom track and street bikes. Good friends of the CPW Crew. 16. Bonz Bros Vintage BMX shop in Tokyo, a veritable museum of old school BMX kit.